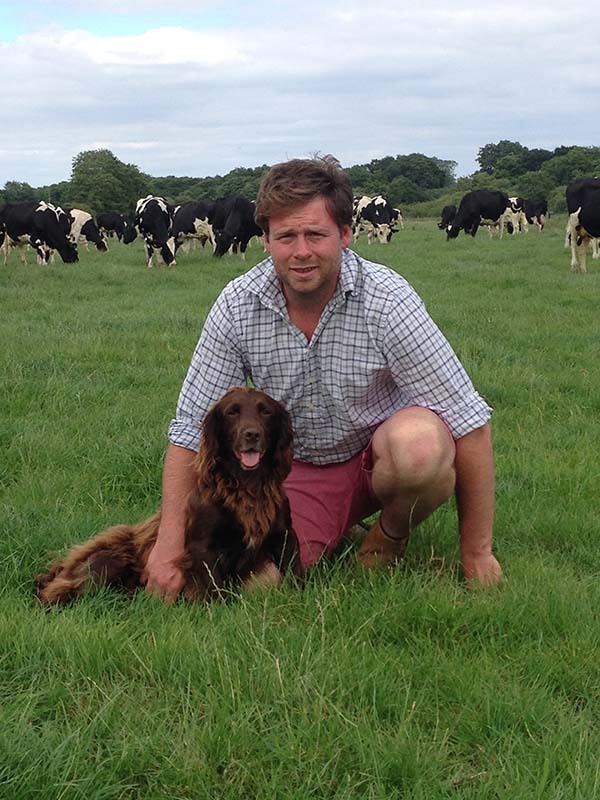 John loves working with his cows and believes in a low intensity farming style working with the seasons to manage the herd and give the cows as much as possible a natural lifestyle. The cows graze under the sun on the meadows in the Spring/Summer. These meadows are rotationally grazed to support healthy pasture and soil management and in turn provide the herd with the most nutritious bite of grass possible. In the colder and wetter months and when the grass stops growing, the cows prefer to stay inside and are housed on straw beds and fed silage (this is like a pickled grass and maize) which has been cut and gathered from the fields during the Summer months. There are 300 milking cows in the herd. They are Friesans or Friesan Jersey crosses. Each cow has its own personality and character and is known individually by John and the Dairy Team – even at some distance! Most of our milk is collected from the farm every other day and taken to a large commercial dairy where it will be processed and bottled or made into other products such as yogurt, cheese or ice cream. After milking we transfer some of the fresh Raw Milk straight to the Milk Barn into our refrigerated vending machine. This way we can guarantee that our milk is never more than 48 hours old and could be in your fridge before the rest of our milk has even reached the commercial dairy!